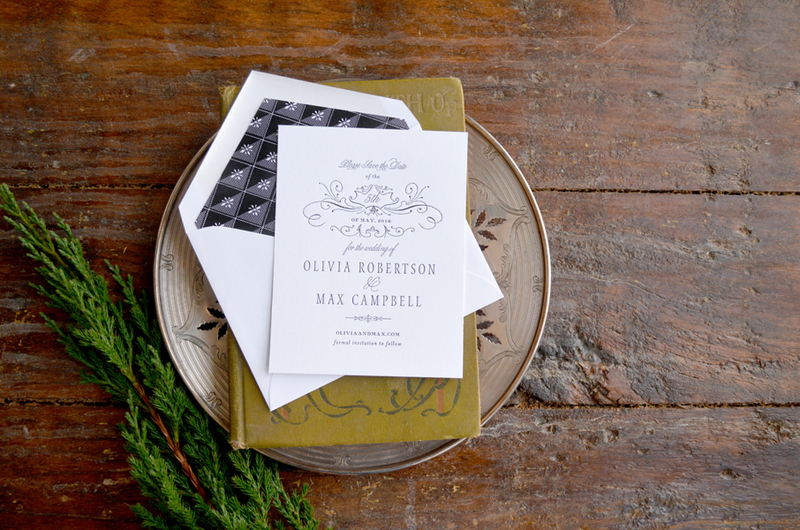 The Winslow wedding invitations are perfectly sophisticated and, dare we say it, a touch masculine. 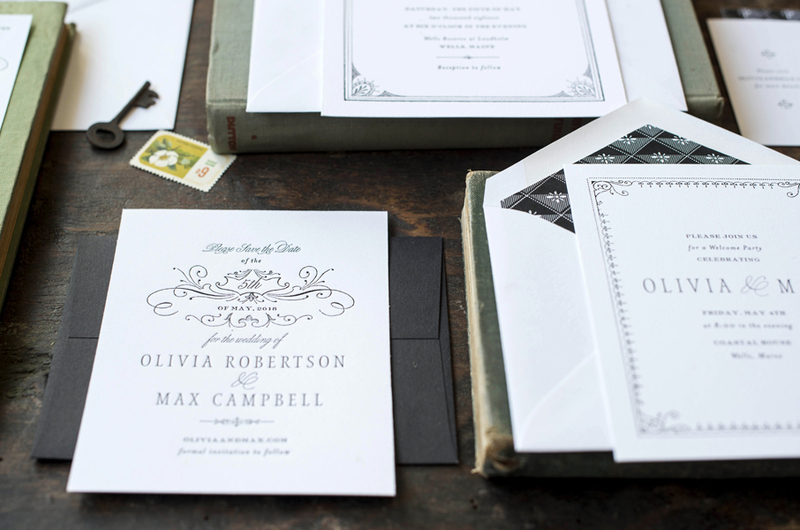 Vintage frames and flourishes adorn this suite, and there's no shortage of elegance. 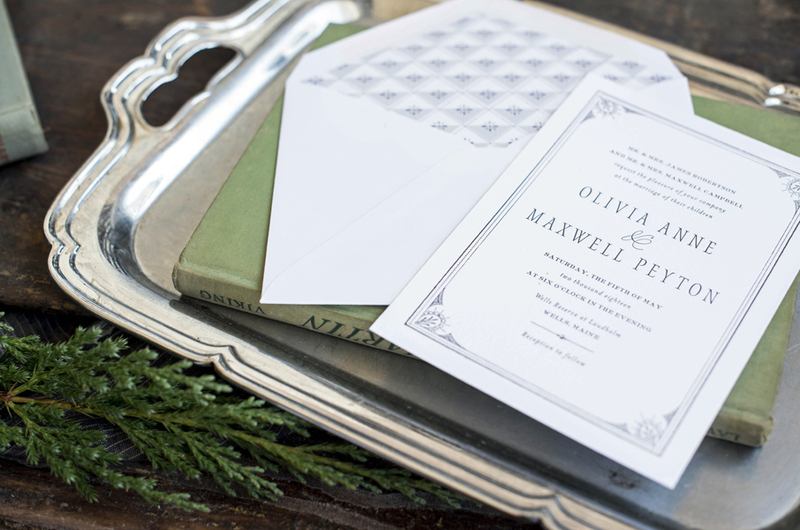 Inspired by 19th century ephemera, Winslow is timeless keepsake! Visit Pinterest for wedding ideas inspired by Winslow. 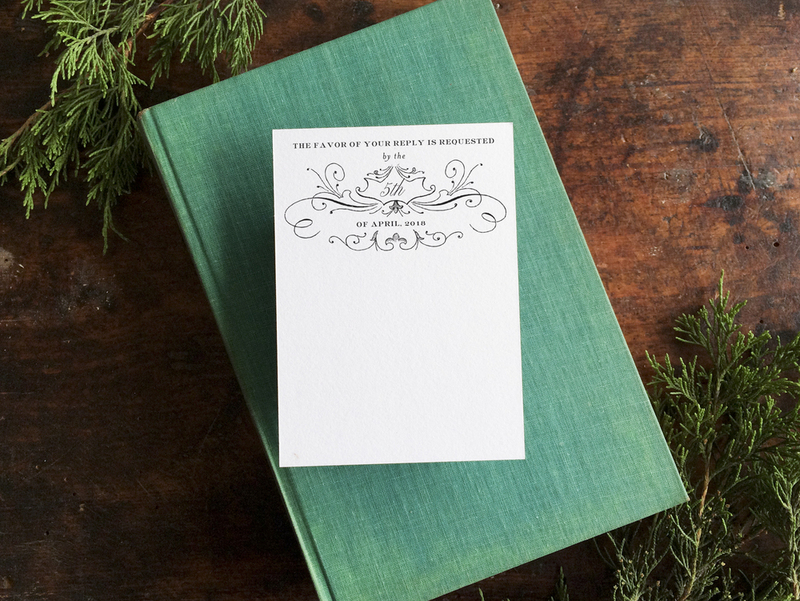 Make it Yours: Winslow shines in letterpress, but also works well with flat printing and foil stamping. 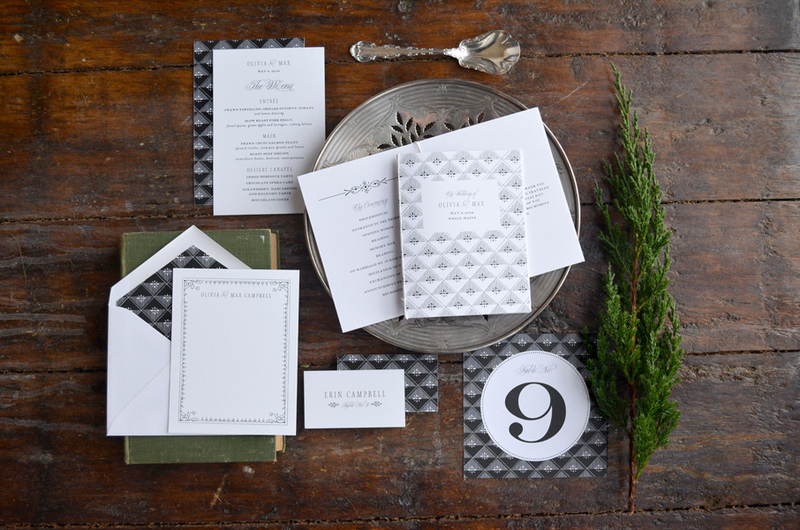 Consider changing the envelope liner pattern to give this suite an entirely different vibe!